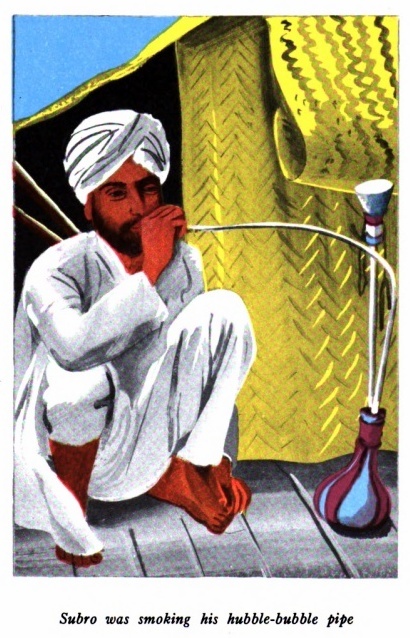 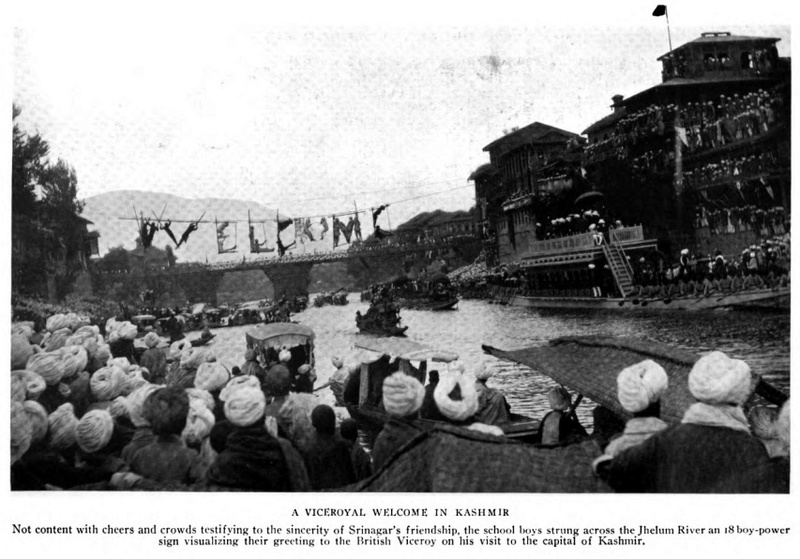 From 'Our summer in the vale of Kashmir' (1915) by Frederick Ward Denys. 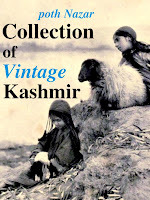 Below you can see the impact that these images from Kashmir had in shaping the western imagining of this land. 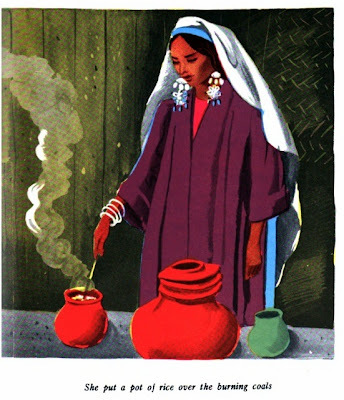 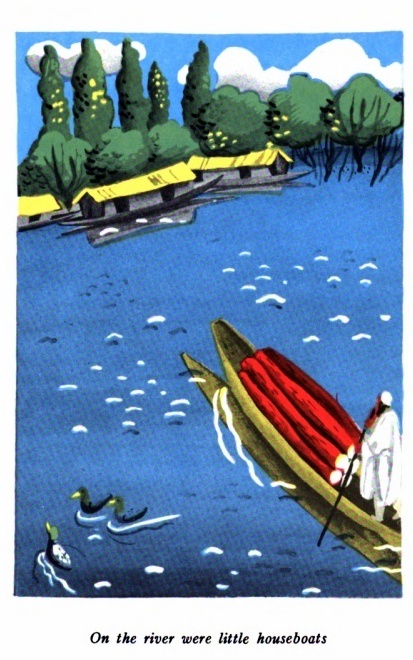 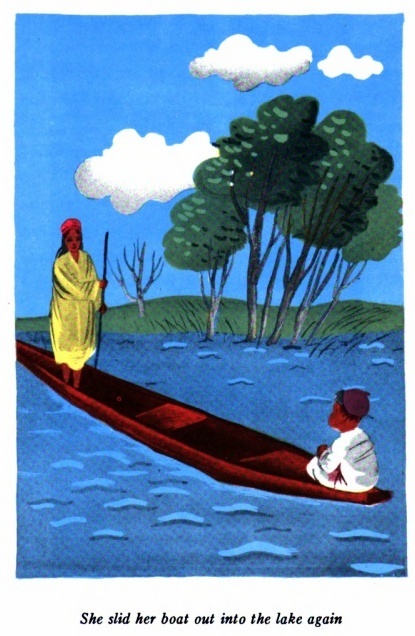 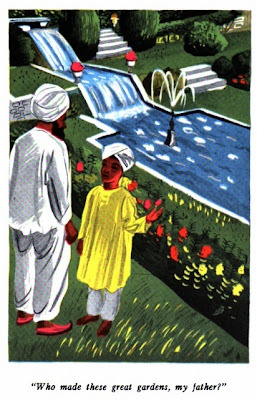 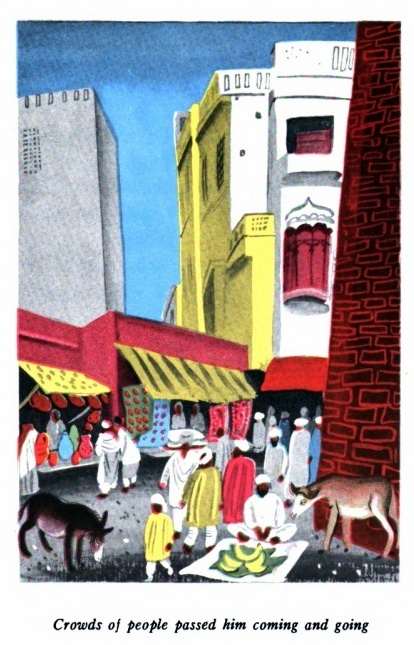 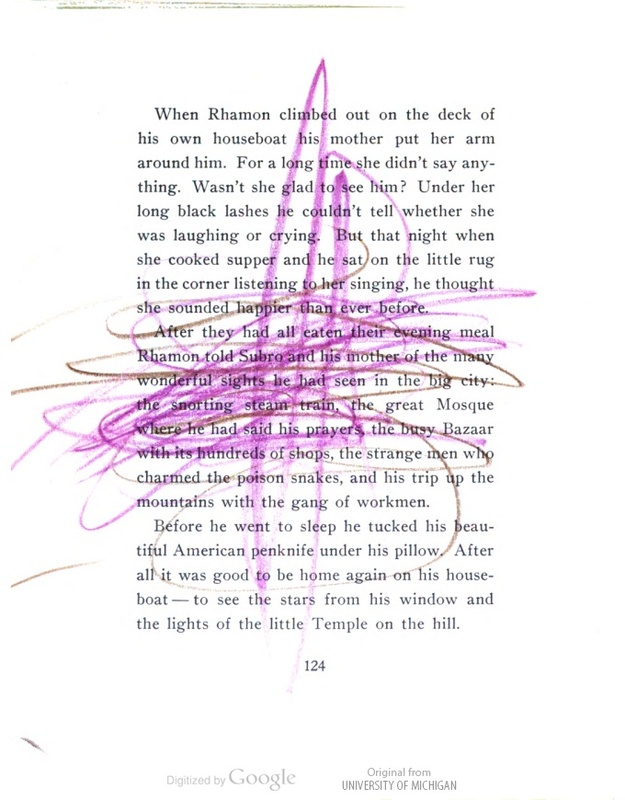 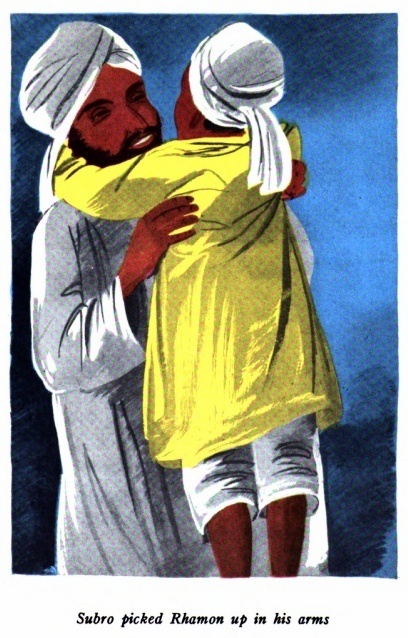 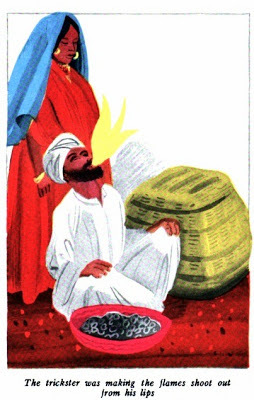 A page from a children's book set in Kashmir and written around 1939. 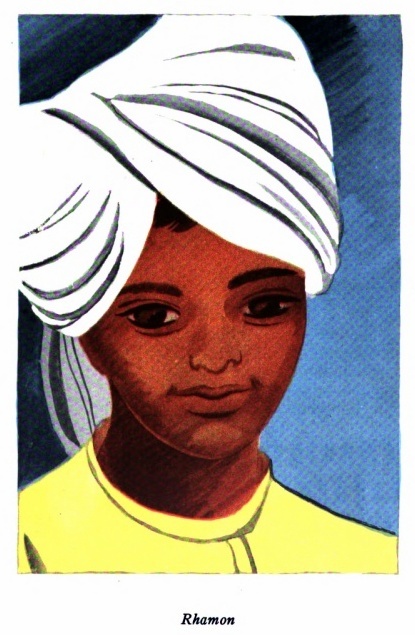 'Rhamon a boy of Kashmir by Heluiz Washburne, pictured by Roger Duvoisin' (1939). The book tells the story of a little Kashmiri boat boy who is deputed by the King to visit the city on a special mission. There is houseboats, floating gardens, a mela, a trip to the big city alone, adventure, all the ingredients that would trigger the imagination of a young child. 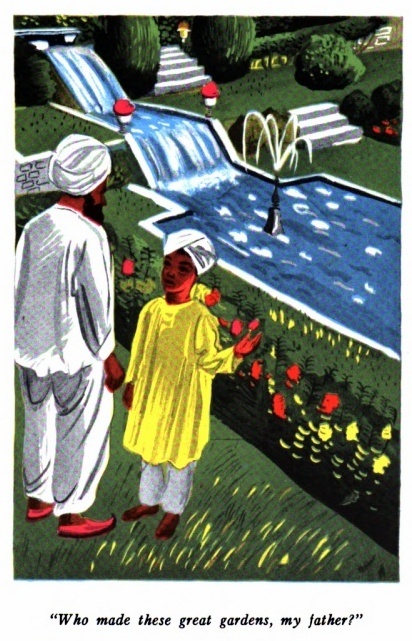 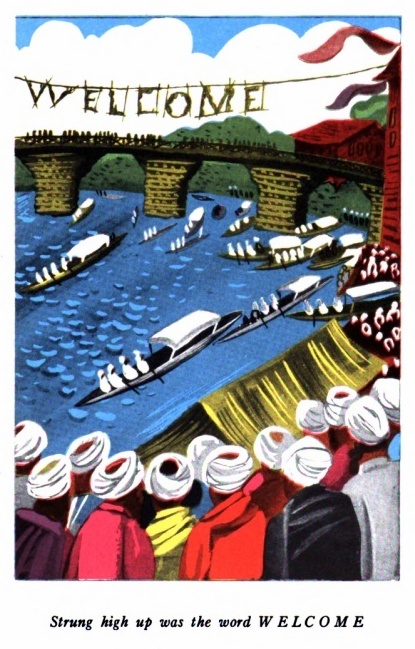 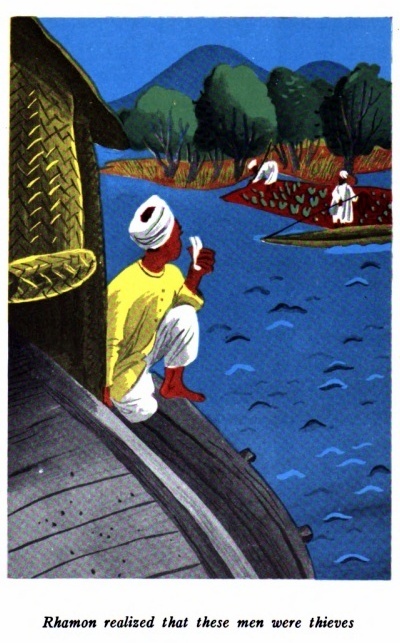 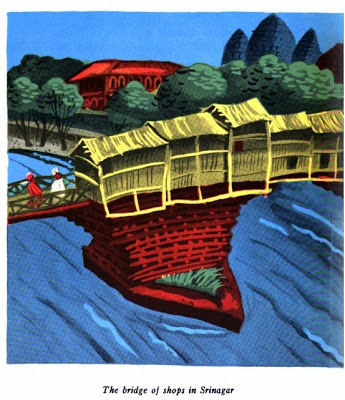 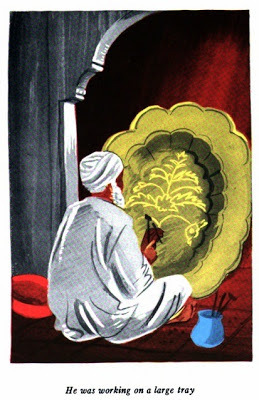 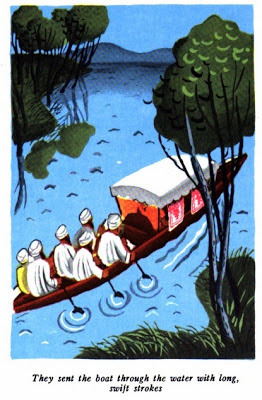 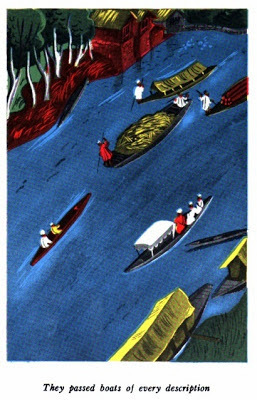 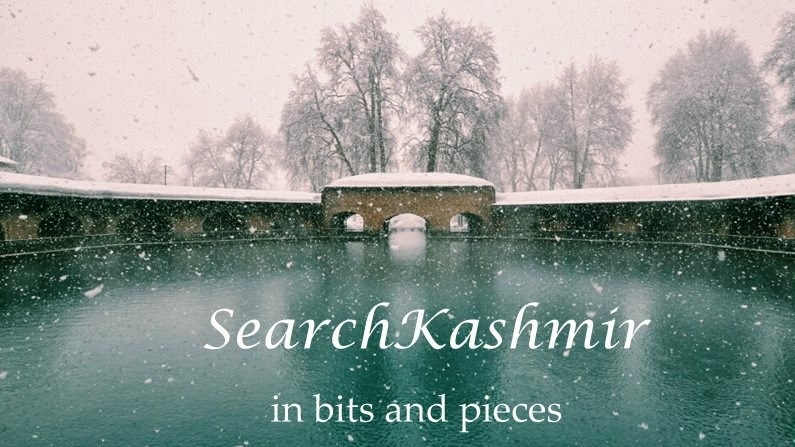 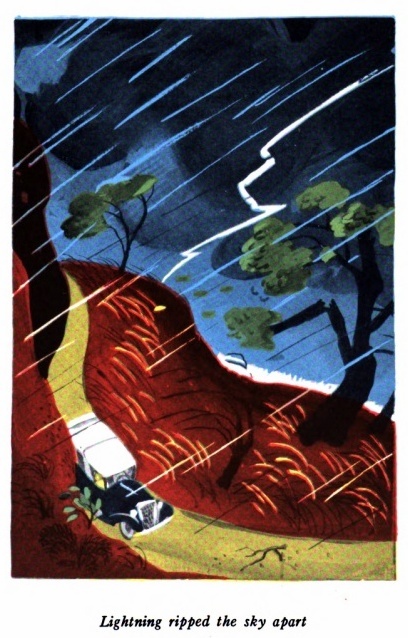 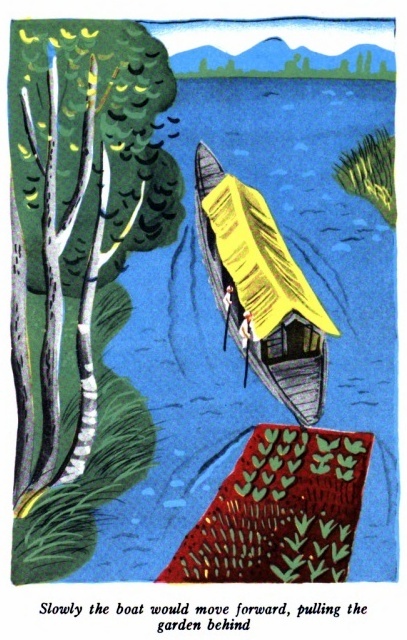 Most of the illustrations in the book are based on some old photograph of Kashmir, and in some cases (like the case of stealing of floating gardens) based on an old travelogue. 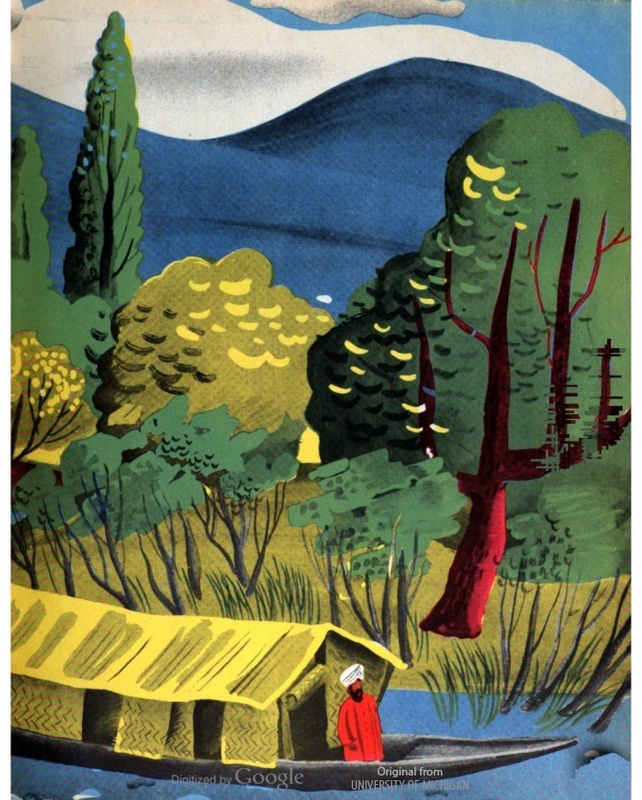 This is from a time when you could tell children wonderful stories about Kashmir - a far-off exotic land of simple, beautiful people, with a nice king - without you having to worry that they would one day grow-up and probably think that the world is actually a very messy place to be. 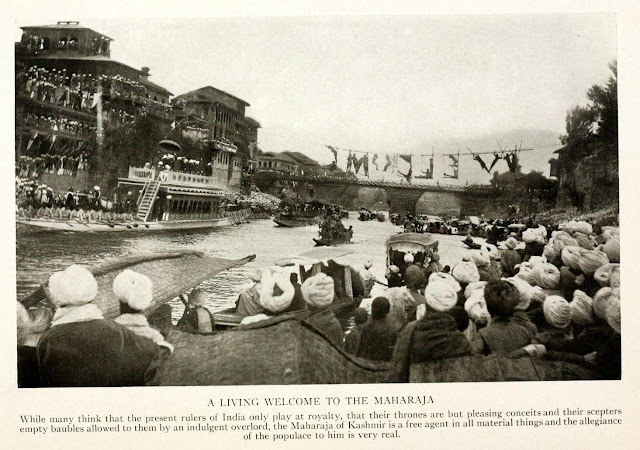 Update: Below is an alternative view of the first image of "Living Human Welcome" published in National Geographic, Vol 40, 1921. 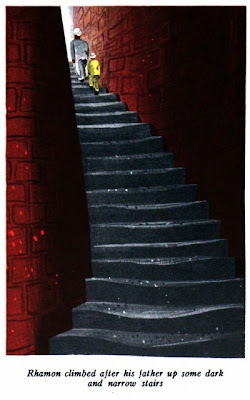 We can see here that unlike the first image the word "welcome" is not mirrored, it actually spells right. Also, if one goes by the caption, the event was held to welcome the British viceroy (should be Minto and his wife) into Kashmir and not the Maharaja as claimed in the book 'Our summer in the vale of Kashmir' (1915) by Frederick Ward Denys.